Wow! What an absolutely amazing year 2016 was. I am a little late on publishing this post, but none the less excited to share some of my favorite Colorado Wedding Photos from 2016. When couples choose me as their wedding photographer, it is truly an honor and so much more than a paycheck to me. I never grow tired of photographing the love and excitement two people share in beginning their marriage. It warms my heart to look back on all of these beautiful memories. So, I'd like to start by saying THANK YOU to all of the couples I have had the privilege of working with in the past year. You make my job feel important, meaningful, and FUN. There is not a single place I visited last year that I wasn't excited about. Colorado is truly a unique and very special place to live and dream. I traveled ALL OVER Colorado this year for weddings and I truly would not have it any other way! It is a wonderful thing to work in summer mountain meadows filled with wild flowers, and travel along the highest roads to use surrounding mountain peaks as a backdrop. I cannot wait to do it again this year! I am so looking forward to all of the plans in store for me, and the AMAZING couples I get to work with! STILL BOOKING FOR 2017 + 2018 COLORADO WEDDINGS. Dates for 2017 are limited, so get in touch soon! There are only 4 openings available. I just wanted to send a huge shout out to all of the vendors who work so hard to help make wedding dreams come true, and the families who support them. We were tickled pink this year to create some beautiful work along side some of you that was published on one of my favorite wedding blogs, Wedding Chicks, as well. You guys rock! Magical Hair & Make Up Team faves, Dotted with Hearts, Belle Shea Salon, and Cassandra Garza. Awesome Floral Designers who are crazy talented are Lace and Lilies, Wild Posies, and Farmette Flowers. The sweetest places to find your dress, Dora Grace Bridal, Blushing Bride, and Encore Bridal. Best Planners & Coordinators EVER, Purple Summer Events, Root + Gather Events, & Hourglass Productions. Stationary, Hand Lettering, & Custom Signs to put that extra special touch on your day from Loud River Creative & Bezalel & Babel. 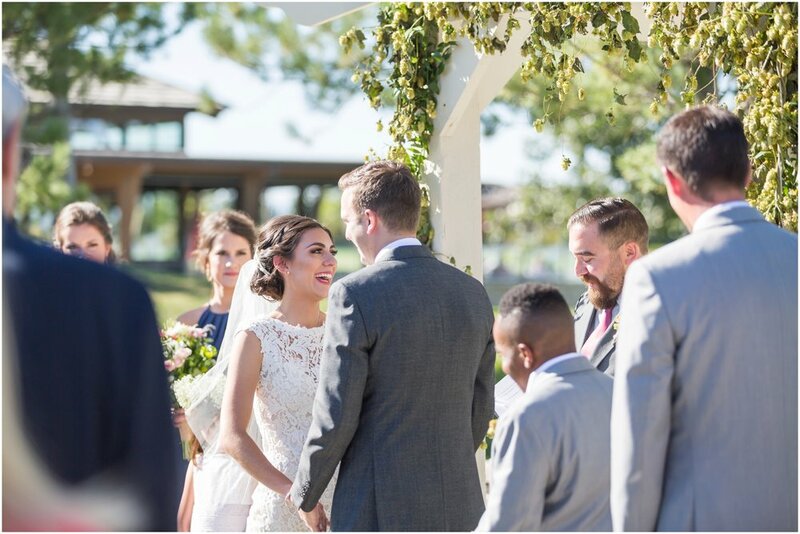 Perfect Venues for your Wedding day like Strawberry Creek Ranch, Lyons Farmette & Riverbend, Della Terra Mountain Chateau, Lone Hawk Farm, Rocky Mountain National Park, Denver Botanic Gardens at Chatfield, the Big Red Barn at Highland Meadows, Pelican Lakes Golf & Country Club, Mary's Lake Lodge. Can't wait for our 2017 Wedding Season to start, I am SO EXCITED! Thanks for checking in!